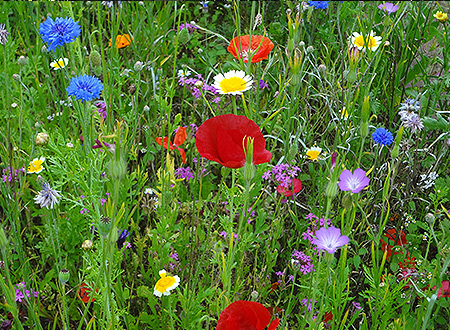 We produce a European wildflower and herb mix consisting of annual and perennial species. This mixture is available in 100 gram shaker cans. The meadow changes constantly over the course of the summer as some flowers bloom and others fade. This product is available only to the wholesale market. If you are a retail customer, please contact your local garden centers for availability. This convenient shaker can is made for the home garden market and sold in garden centers and retail stores. 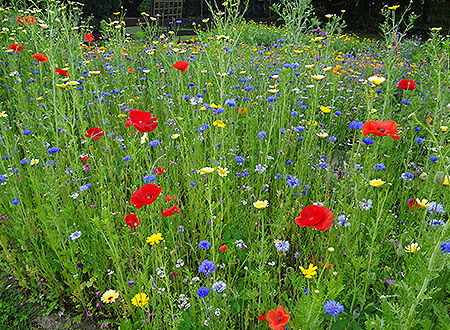 The European wildflower and herb mixture contains both annual and perennial flower seed. 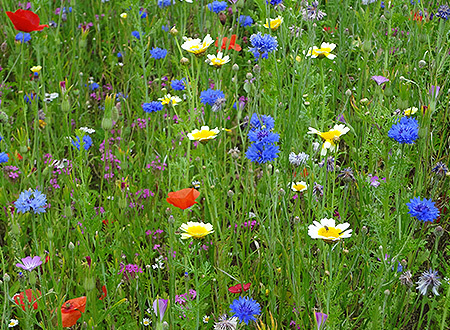 Meadow-In-A-Can contains 100 grams of pure seed with no filler or extra inert matter. The shaker top enables your customer to distribute the seed evenly over the garden bed.